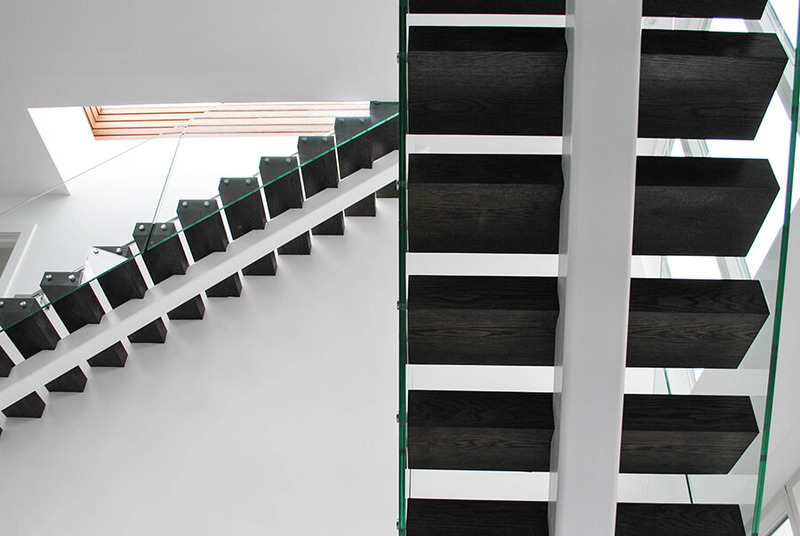 It is hard to find an interior designed with greater perfection. 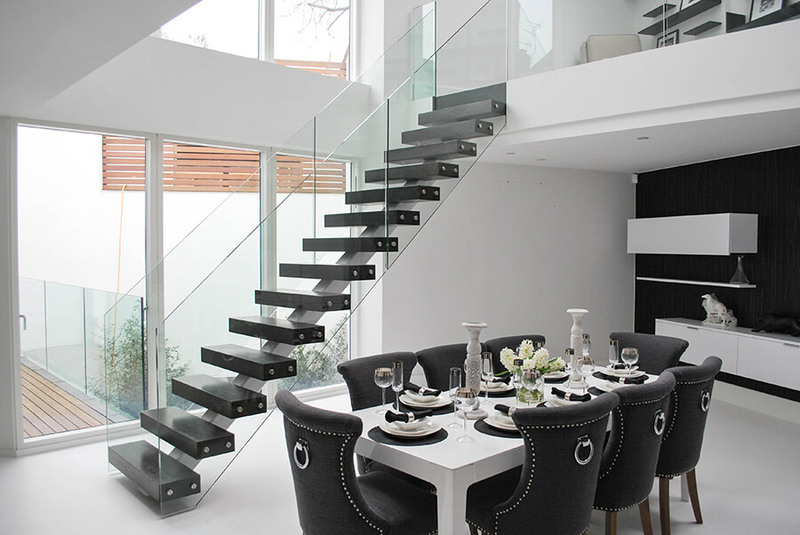 The classic combination of black and white makes the house look impossibly elegant. 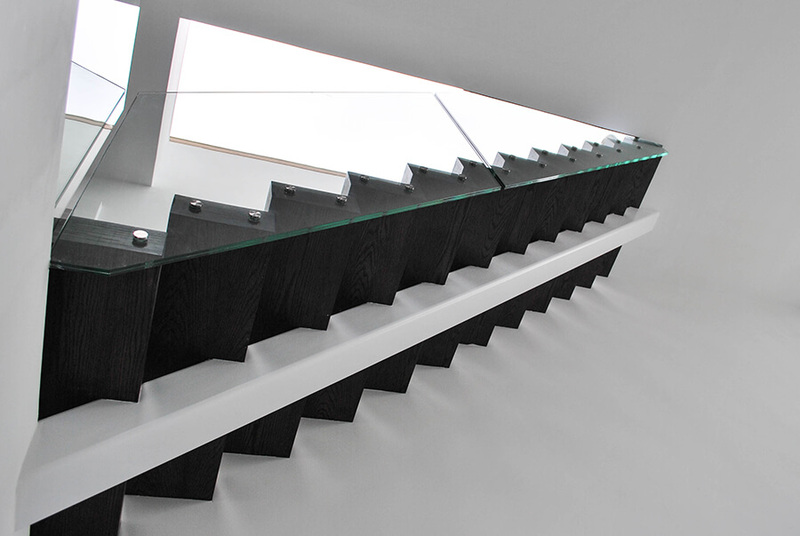 We couldn’t imagine a better staircase solution to fit with the design than a black and white middle spine staircase. Oak treads stained black, coupled with a white steel support follow the same design pattern as the rest of the decorations. 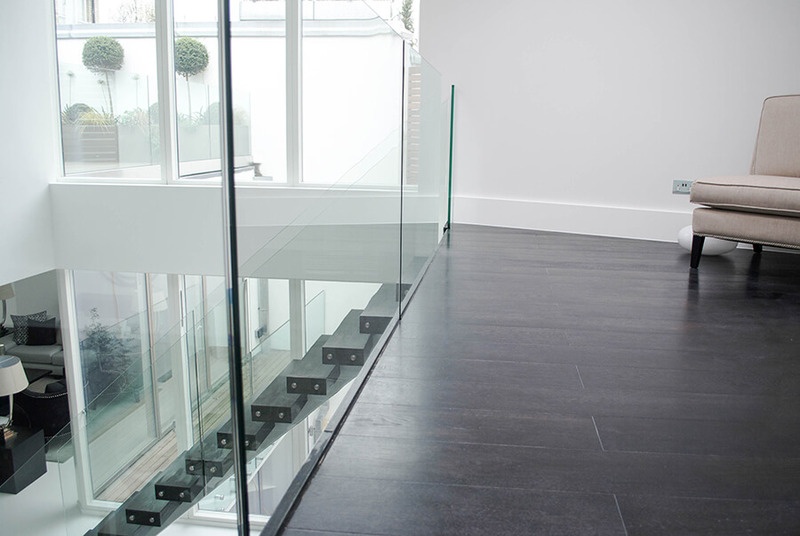 The mezzanine floor is made of the same wood to ‘invite’ more balance into the apartment. 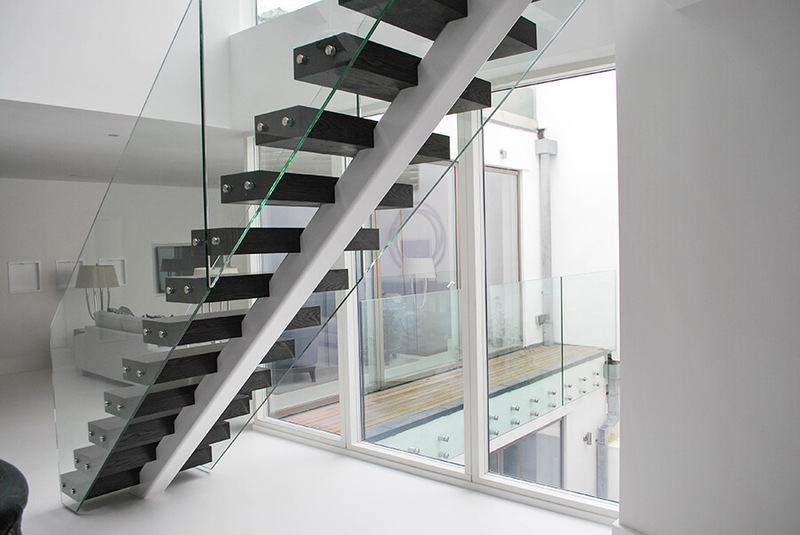 For more of the fresh look, we made transparent glass omnipresent and used it to create the balustrades for the stairs, the mezzanine and the balcony.